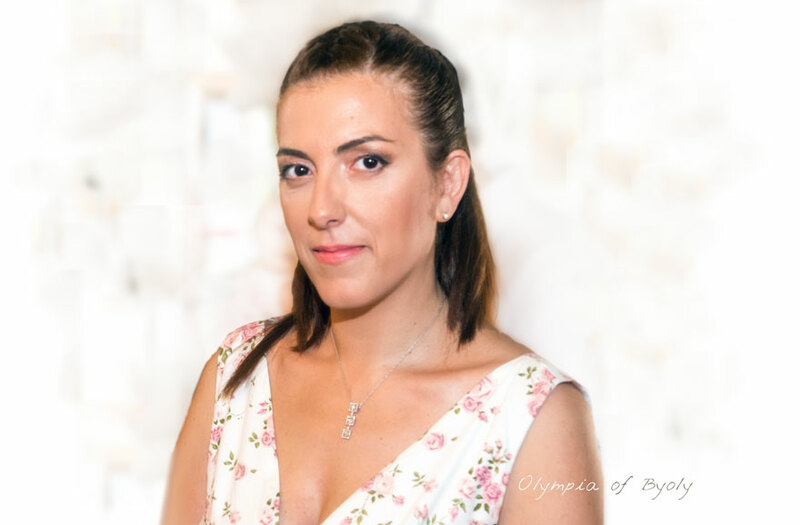 Owner of Byoly Cosmetics Olympia Tsimplostefanaki is based in Greece where she creates custom cosmetics, blogs about DIY skincare, contributes articles about DIY cosmetics to local publications, and runs (2!) online forums for people who share her interest – developing and making natural skincare. Olympia has another passion as well: making herbal extracts and tinctures to use in her cosmetics. Needless to say, Olympia and I have shared a few notes and chatted about extract making on more than one occasion. Today, she has graciously accepted my invitation to show off her recently acquired extract straining set-up and talk a bit about her work. Let's get acquainted with this lovely, talented lady! You have been making and selling skincare products for many years. How did you get started? I started out in 2010 making a belly balm for a pregnant friend. I liked reading blogs about natural cosmetic alternatives. This was before the whole natural trend got big in Greece. The more I read, the more interested I became and soon discovered I was starting to love it. Then I made my first beeswax cream – which was a big flop, but that did not stop me. I studied everything I could find to learn as much as possible about making cosmetics. Slowly but surely I started making creams, shampoos, make-up and more. I can make something decent from almost every cosmetic category now, but my favorite thing of all is making extracts of all kinds and using them in my creations. You and I share a passion of making extracts with local herbs and using them in our cosmetics. Please share a bit about your favorite herbs and mediums. I particularly enjoy studying the constituents of each plant so I can choose the right medium for each extract. The whole process fascinates me: from choosing the plant to straining and finally testing in a cosmetic formulation. The whole process is magical. I think I might have tried almost every technique possible to capture the essence of the different plants – oil, alcohol, vinegar, glycerin, you name it! And finding LisaLise blog was so special to me, someone who shared the same passion and knew sooo much! Please, we need more books! Lavender infused almond oil is a must. I make it every year from plants in my garden. Calendula, chamomile and rose are three other favorites which I infuse in oil but also in glycerin and alcohol to get the most from them. I also like to experiment with not so commonly used plants. I have recently been studying mallow and all about its wonderful soothing qualities. Most people treat mallow like a weed here in Greece. They grow everywhere – even at the bottom of a stop sign. I also try to find exotic plant powders, like urucum for the lovely color it gives to my oil. 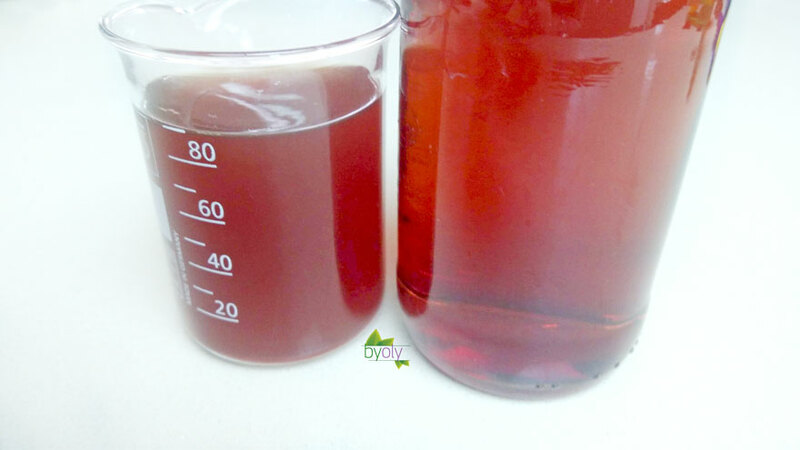 I also like poppy for the deep red color it gives in a glycerin extract. 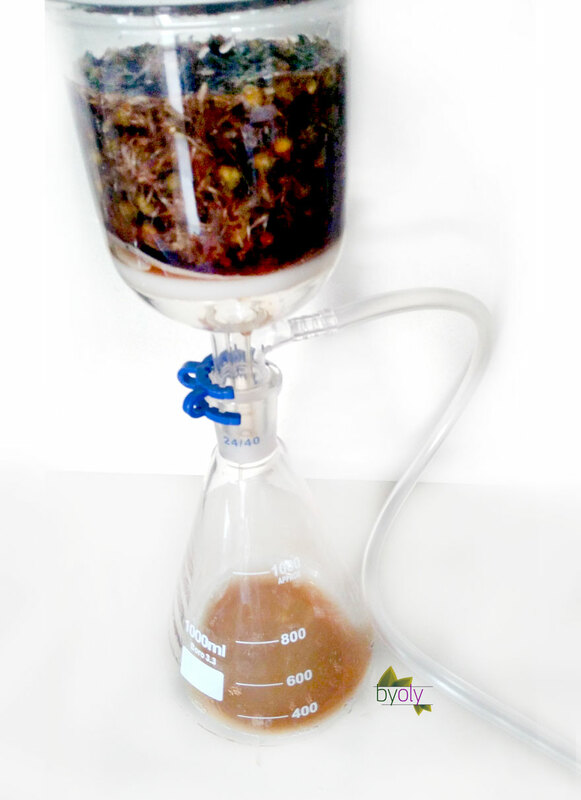 You invested in a filtering set-up to strain your extracts. Would you mind sharing a bit about your experience? The main problem with extracts is straining and how to keep the itty bitty pieces of plant matter out of the final extract. I came across an article by SkinChakra about Buchner filters and just had to buy a set for myself to try. The whole process is quite simple. This is how it works. Assemble the parts, then place the appropriate filter in the Buchner funnel (there are several types). Take your infusion: here is a cornflower one I did recently. Pour the infusion into the funnel, then start pumping. A vacuum is created inside the flask, which draws the liquid from the funnel into the flask very quickly, leaving the plant matter behind. I’ve used it with glycerin and plant powders like tepezcohuite (INCI: Mimosa tenuiflora) and the results are great – no visible residue in my lovely extract. I’ve also strained vinegar extracts and oil extracts – all with the same wonderful result. Here is the cornflower glycerite strained through a cheesecloth on the left, and strained through the filter on the right. I wish my camera was a bit better, but you can see it is more clear on the right one and the left one looks unclear. Prefiltering the mixture through a cheesecloth helps remove most of the plant matter and is a good idea to do before using the filtering set-up. Cleaning the filter and parts can be a bit of a job, but Chris Abakis – a chemist I know – was kind enough to share this with me: Use acetone to clean the equipment after use. It will dissolve everything from oil to glycerin and cleans really well. 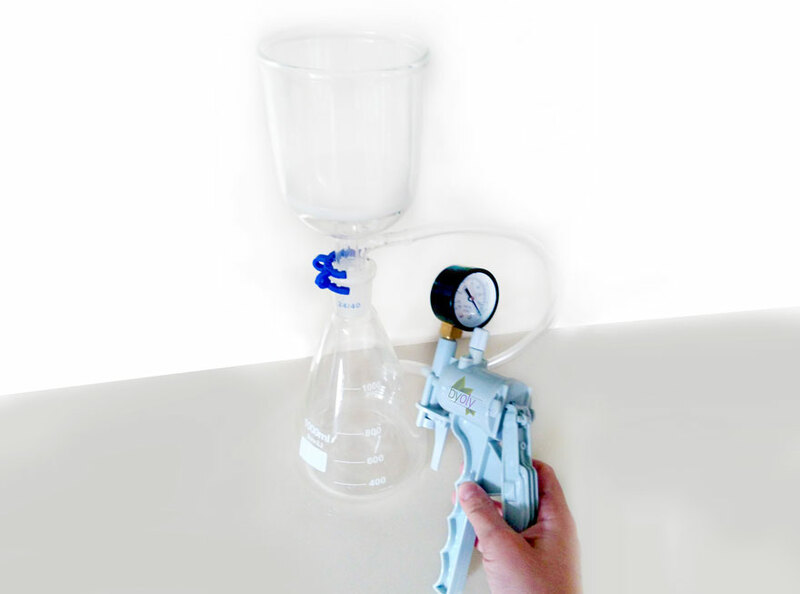 Simply pass acetone through the funnel (using the pump) until the liquid comes out clear. Follow with deionized water to remove any acetone. 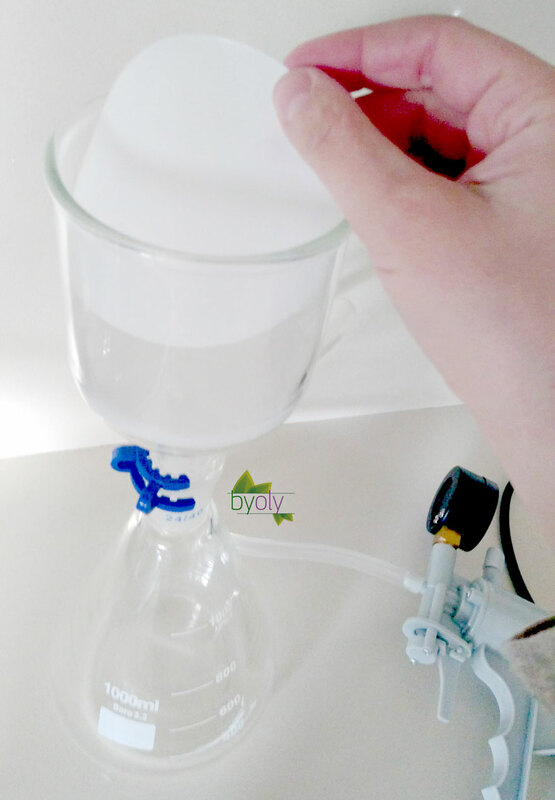 Also: get extra paper filters that fit in the Buchner funnel to help make the cleaning process easier. Environmental Tip: Acetone is very volatile, so be sure you are in a well-ventilated room and no fire near it! Also, the liquid cannot be discarded down the drain or it will ruin both pipes and the environment. Dispose of the liquid at a proper disposal site. Thank you Olympia for sharing your photos, tips, and information! 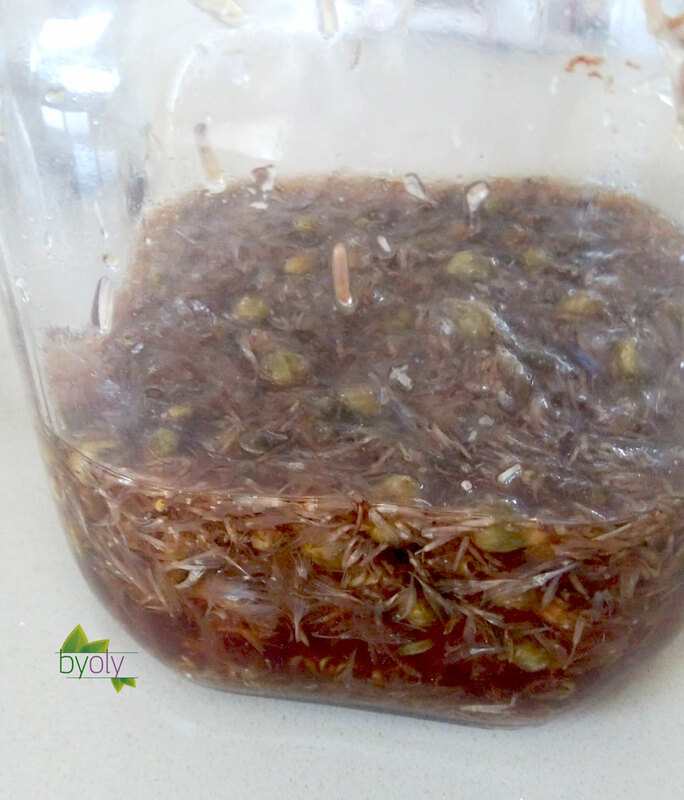 Do you make your own extracts? What are your favorite herbs and mediums to work with? Wow! Awesome, you had me at buchner funnel! I totally used this method sooo many times in grad school studying natural products chemistry, but it never came to mind for my new and slowly growing home formulating lab! I was so excited to read this, brings back memories! Lol! Thank you Lise and Olympia! thank you so much Lise for the the wonderful article!!!! @Kim - Excellent! It sounds like you will be adding some equipment to your setup soon!